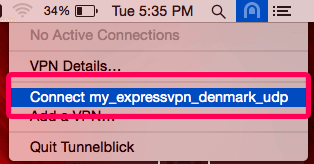 This tutorial guide will walk you through the steps to connect to a VPN server using ExpressVPN’s OpenVPN configuration files with Tunnelblick on your Mac computer. Tunnelblick is a free, open-source GUI for OpenVPN on OS X. Prefer app setup? See the instructions for app setup for Mac OS 10.10 – 10.12, Mac OS 10.8 – 10.9, and Mac OS 10.6 – 10.7. To set up ExpressVPN OpenVPN with Tunnelblick, you will need to download the OpenVPN configuration files for ExpressVPN. Click on Manual Config on the left side of the screen and then select the OpenVPN tab on the right. You will first see your username and password and then a list of OpenVPN configuration files. 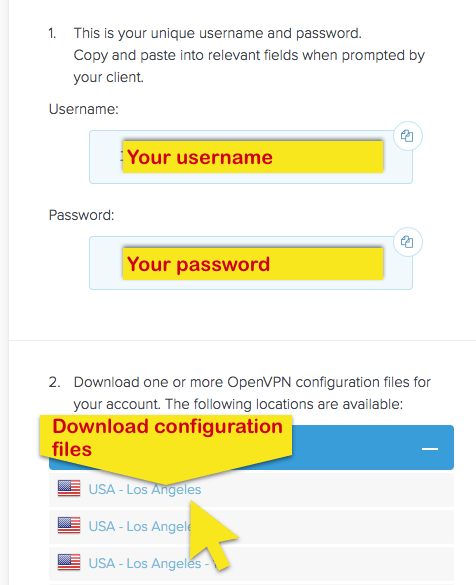 Find the location(s) you want to connect to (e.g., Los Angeles, New York, Hong Kong), then download and save the .ovpn file(s) to your Downloads folder. You will need these files for Step 3. 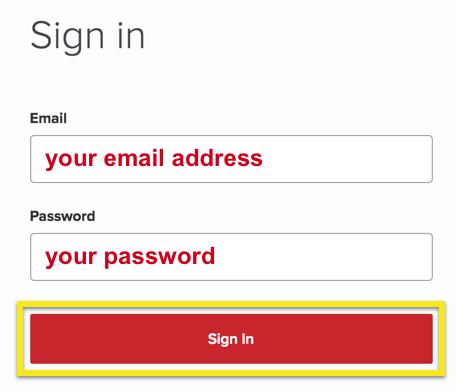 Note: Please have your username and password ready, as you will be asked to enter them later in the setup process. Go to https://tunnelblick.net/. 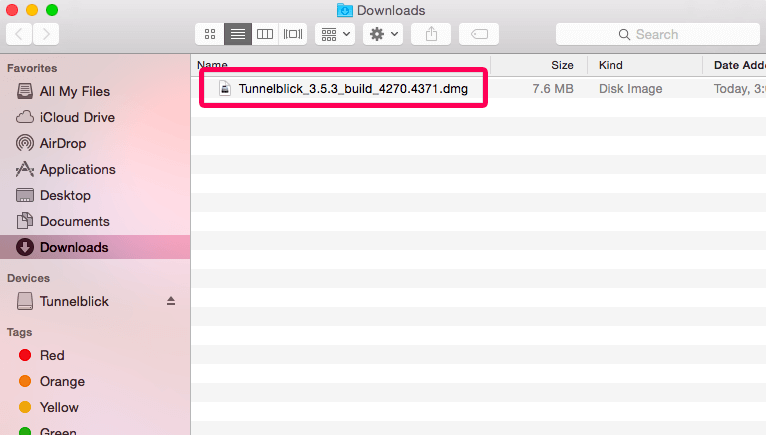 Download the Tunnelblick installer .dmg file to your Downloads folder. Open the Tunnelblick installer .dmg file from the Downloads folder. 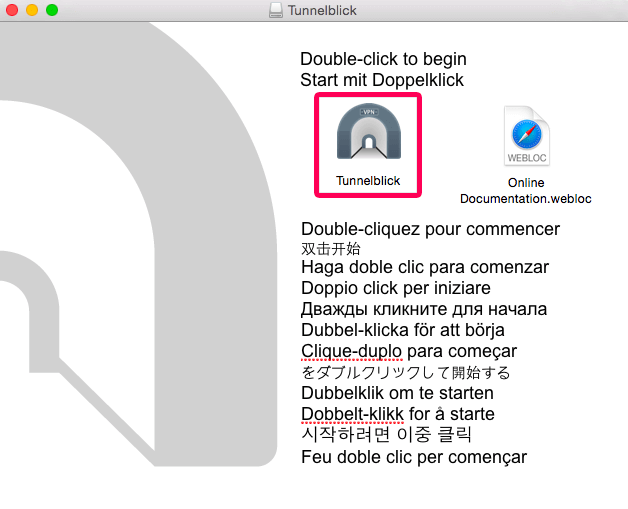 Double-click the Tunnelblick icon to begin the installation process. When the installation is complete, you will see this message: “Installation succeeded.” Click Launch. The “Welcome to Tunnelblick” screen will ask you if you have any configuration files. You downloaded these in Step 1, so click I have configuration files. Now go to your Downloads folder, and double-click the .ovpn configuration file you want to use. You will be asked if you’d like to install the configuration for all users. Click Only Me or All Users, depending on your preference. You may be required to enter your Mac’s username and password before proceeding. Enter the information when prompted. When you see the screen that says, “Tunnelblick successfully: installed one configuration”, click OK.
To connect to the VPN server location, click on the Tunnelblick icon in the top-right corner of your screen. From the dropdown menu, select Connect [server location name]. 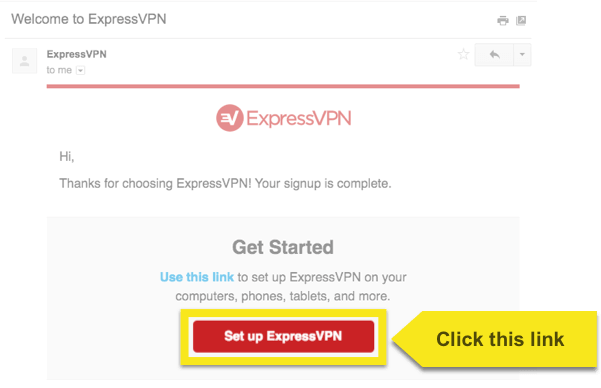 When prompted to enter your username and password, enter the ExpressVPN OpenVPN username and password you found above. A notification message will appear to tell you when the connection has been established. Click the x to hide it. To disconnect from the VPN server location, click the Tunnelblick icon in the top-right corner of the screen, then click Disconnect.